Some of the best art in my town, Denton, Texas, is of the musical variety. 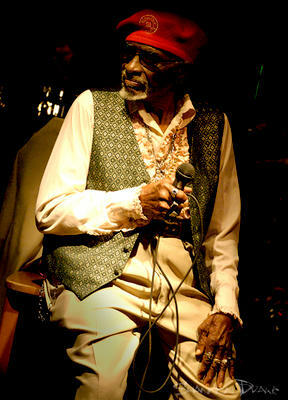 Local legend Pops Carter was one of the fantastic personalities that roamed the bars and stages of Denton, always on the lookout for an open microphone. My memories of Pops were of a guy who liked to give the ladies tight hugs, and was a true celebrity to all as he walked down the streets of Denton- before and after he used a trademark walking cain. The music was some of that grinding sound that makes you feel things, and the drinker you play, the player you get. Enough said.